Below is one of the many paths you could take to export your 3D model from Vectorworks. It includes the essential action steps to prep your file for import into Cinema 4D. 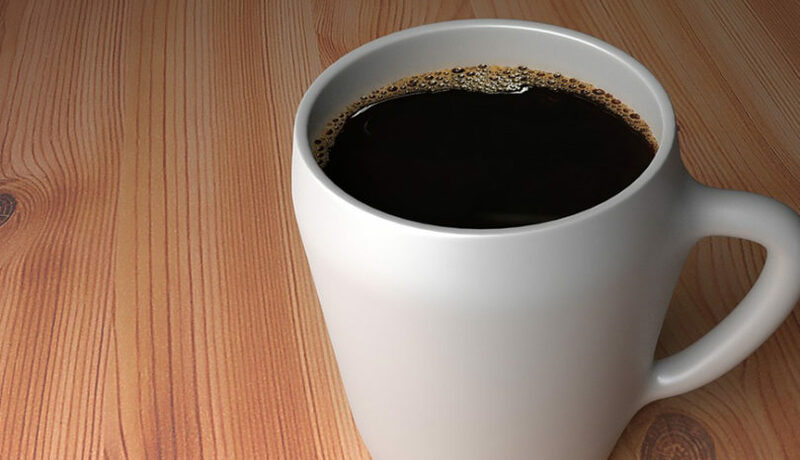 You will undoubtably develop personal preferences as you continue your Cinema 4D journey. Make all objects of your 3D model visible; turn off or delete any unwanted objects. Put your design layer(s) in 1:1 scale. Center your entire 3D model at the internal origin: Tools> Origin> Center Drawing on Internal Origin. 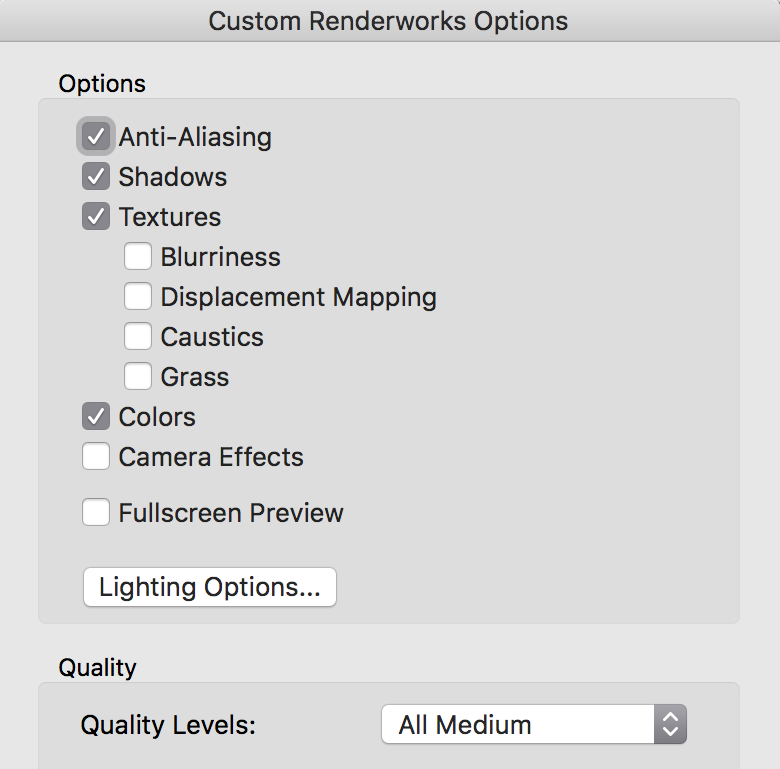 Change ‘Render Mode’ to Custom Renderworks. Change ‘Scene Organization’ to Sort by Class. 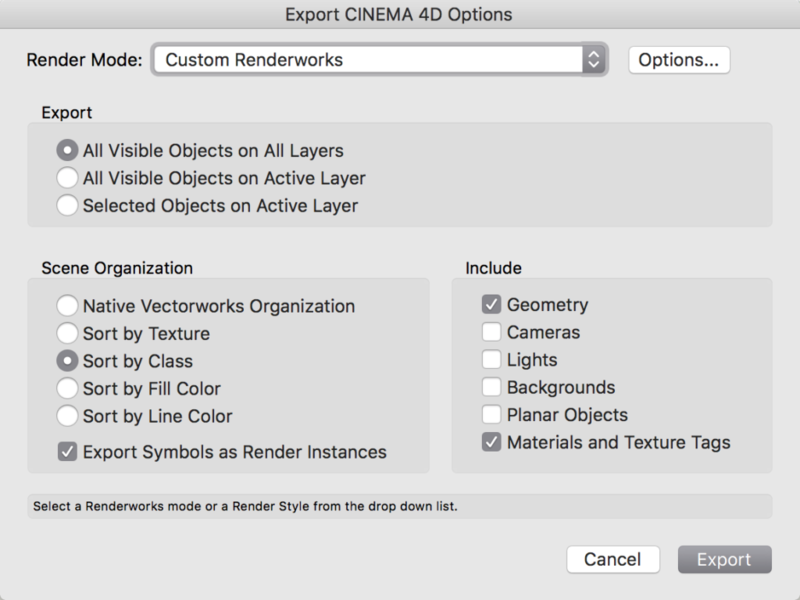 Save your exported .c4d file in a permanent location. After Effects and Cinema 4D link the file location when importing. If you move any linked files out of the permanent location, the links will be broken. Hints: If you are using Spotlight Objects like truss or lights, convert to 3D polylines in vectorworks if not exporting properly. 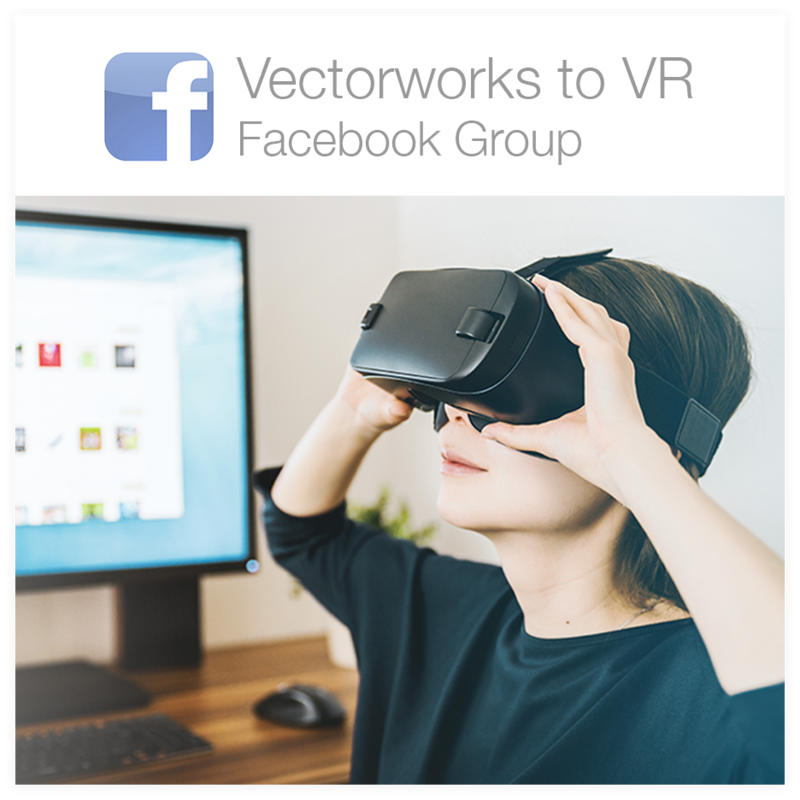 And turn any duplicate objects into symbols in Vectorworks. Symbols become ‘instances’ in Cinema 4D, allowing for global edits and faster file navigation.